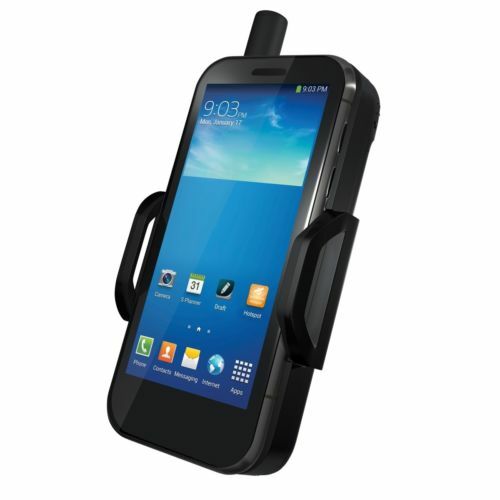 SatSleeve+ supports the communication needs of all smartphone users with basic data and voice. Thuraya SatSleeve+ supports the communication needs of all smartphone users – from frequent travelers and adventurous explorers to corporate and NGO users. It provides customers with access to phone calls, emails, instant messages and popular social media apps in satellite mode across Europe, Africa, Asia and Australia. The SatSleeve Hotspot App is available as a free download from the App Store or from Google Play. Our app is available in 12 languages. SatSleeve+ comes equipped with an SOS call button that works even if the smartphone isn’t connected. The SOS button will make an outgoing call to a predefined number set by the user or receive an incoming call. Thuraya’s reliable and uninterrupted satellite network enables you to stay connected via satellite mode anywhere under its coverage area across Europe, Africa, Asia and Australia. Thuraya SatSleeve+ works either with a Thuraya SIM card or with a GSM SIM card from any of the 360+ Thuraya roaming partners worldwide. SatSleeve+ comes with a universal adaptor in the package that allows you to switch between various Android and iPhone phone models between 58 and 85mm in width. This App is applicable for SatSleeve+ and SatSleeve Hotspot only and not for previous SatSleeve models. The Thuraya Sat-Sleeve will still require a Thuraya SIM card to be purchased, to connect to the Thuraya network.